April 22, 2016. OTTAWA. April 26, 2016 will mark the 30th anniversary of the Chornobyl nuclear disaster in Ukraine. On April 26, 1986, a reactor at the Chornobyl nuclear power plant near Prypiat exploded and melted down. The disaster affected the lives of thousands of people in Ukraine and Belarus. 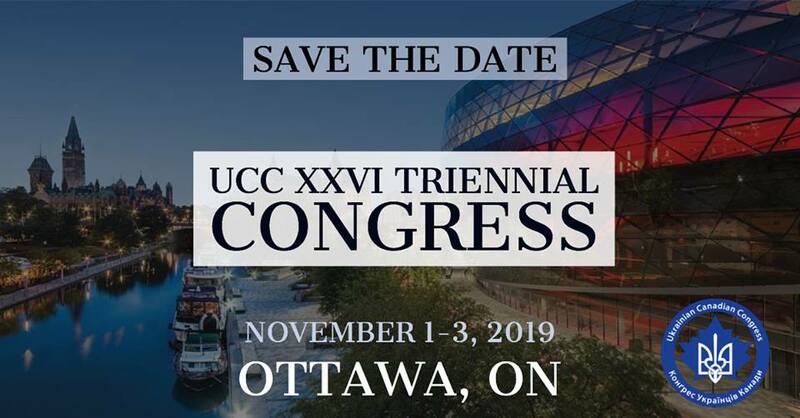 The Ukrainian Canadian Congress (UCC) asks that all Canadians take time to remember the victims of this terrible tragedy. The impact of the Chornobyl disaster is still being felt today, with adverse effects on the health of many people. Estimates on the numbers of indirect deaths as a result of the Chornobyl disaster vary from the thousands to the tens of thousands. Ukraine continues to cope with long-term health, environmental and economic consequences resulting from this disaster. -Saturday, April 23, 10:00-11:30 AM – Open Lesson of the Ukrainian Credit Course (Lesia Ukrainka School, member of UCC Ottawa), dedicated to the 30th anniversary of Chornobyl catastrophe. Public is welcome. Terre-des-Jeunes school, 1303 Fellows Rd., K2C 2V8 (Woodroffe S / Queensway). 7PM – Panakhyda Assumption of the Blessed Virgin Ukrainian Orthodox Cathedral, 1000 Byron Ave.
8PM – Saint Paul University Amphitheatre – Ukrainian Canadian Film Festival (UCFF2016: kino-fest.ca) “Russian Woodpecker” by Chad Gracia. A Ukrainian victim of the Chornobyl nuclear disaster discovers a dark secret and must decide whether to risk his life by revealing it, amid growing clouds of revolution and war. Silent auction by local UCC members for fundraising (50% funds for UCC Ottawa). Joint prayer before the screening. -Open talk with a liquidator from Ukraine and an opportunity to discuss with him and with the high-school students the following topics: the history of Chornobyl, experience of an army servant in the USSR, his story as an liquidator being a 19 years old, consequences of the catastrophe etc. Light refreshments provided. RSVP before Wednesday, April 20 by emailing to ivaplak@gmail.com or calling/texting to 613-276-2105 to obtain a security pass from the school board. -Panakhyda Holy Trinity Ukrainian Orthodox Church 151 King Edward Avenue – 28 April, 11:30 am. -The Ukrainian Museum of Canada, Saskatoon is entitled Chornobyl: 30 Years Later featuring the artwork of Kathy Nicholaichuk, Toronto. The exhibition opened March 1 and will be on display until April 30. -ЧОРНОБИЛЬ 1986 – 2016. 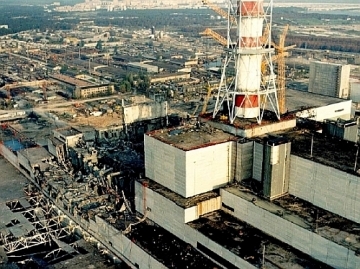 Remembering Chornobyl Catastrophe: 30 years since the Chornobyl nuclear power plant’s explosion caused the biggest environmental disaster of the 20th century. Tuesday, April 26, 2016, 19:00. Join our community for a commemorative gathering near the Chornobyl catastrophe commemorative plaque at William Hawrelak Park in Edmonton. One hour earlier, 6:00-7:00 MT, tune in the regular daily broadcast of Ukrainian Edition at the same coordinates. -On April 26th, 7pm at the Assumption of the Blessed Virgin Mary Ukrainian Catholic Church 704 Sixth Street NE a Holy Liturgy will be held to pray for those still suffering from the devastation of the disaster of Chornobyl, with a Panakhyda to follow for those who lost their lives during this nuclear catastrophe. -St. Vladimir’s Ukrainian Orthodox Congregation 404 Meredith Road NE will commemorate the Chornobyl tragedy during the Holy Thursday Liturgy on April 28th.